Baden-Baden meets any taste. 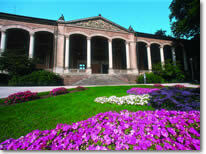 Visit the Caracalla thermal spa or the Friedrichsbad, try your luck at the casino, experience unique moments at the Festspielhaus or enjoy the nature. 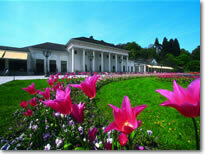 Here is some information about sights of Baden-Baden and links to furhter details. In case you are missing an important entry please mail us at info@airport-baden-baden.com. Opened in 1998, the Festspielhaus is Germany’s largest opera house and concert hall. 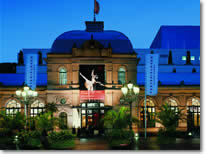 Musical events and ballet performances of the highest standard can be enjoyed here. The town’s theatre was build between 1860-1862 on the lines of the Paris Opera. The impressive Spiegel Saal chamber can be rented for weddings. The renowned Kurhaus building with its grand interior is home to the world famous casino, regular dance events, the Baden-Baden Philharmonic and the Kurhaus Restaurant. Described as being the "most beautiful casino in the world" by Marlene Dietrich, this is Germany’s oldest established casino with a history dating back for over 250 years. 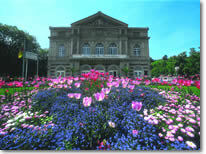 Baden-Baden’s Pump Room with an impressive 90 metre long frontage featuring 16 Corinthian pillars and 14 hand-painted murals depicting local historical scenes and legends. The Trinkhalle also houses a Tourist Information office. 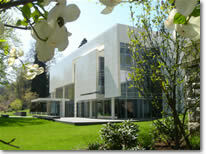 The Frieder Burda Art Museum was opened in 2004 and is located next to Baden-Baden’s art gallery: the Staatliche Kunsthalle: It features over 500 paintings, sculptures and other artistic works. 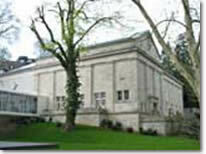 Baden-Baden’s art gallery was founded in 1908 and boasts an international reputation for hosting travelling exhibitions of classical, modern and contemporary art. 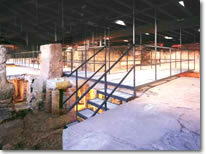 The ancient remains of the Roman thermal baths can be found beneath the Friedrichsbad bath house. 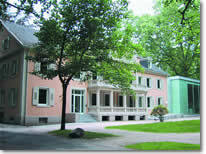 The museum housed in the "Alleehaus" and located on the Lichtentaler Allee presents a 2000 year history of the town: from Roman times, through the glamorous years of the 19th century when Baden-Baden rose to world fame, to the present day. Covering over 3000m², the Caracalla Thermal Spa offers spacious surroundings where one can unwind and bath at leisure in the healing thermal waters. 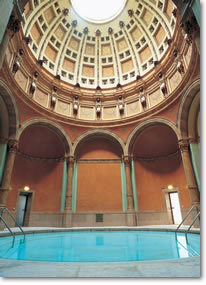 In the Friedrichsbad bath house Roman bathing culture and Irish bathing traditions have been united for over 130 years. 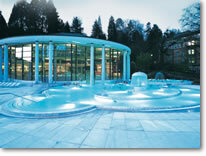 Make the most of this exclusive bathing experience, which is divided into 17 different bathing stages. Well-being begins when body, mind and soul are in harmony. This is the basic principle of wellness. The CaraVitalis world of wellness with its wonderful facilities has its home in the Caracalla Spa and the Friedrichsbad. Here you have the possiblity to breathe deeply and to forget the stress of everyday life. 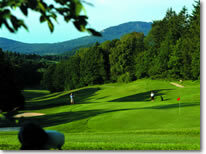 The Baden-Baden Golf Club, located at the foot of the Fremersberg mountain, is one of Germany’s most attractive courses in terms of natural beauty and a test of skill. The club hosts numerous open tournaments where guests are more than welcome. 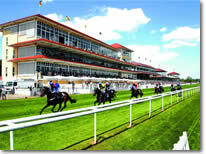 The Baden-Baden race meetings enjoy an excellent worldwide reputation among racing connoisseurs and supporters of the sport.